1,771 sq ft; lot: 16988 sq ft - MLS# 1622248 Courtesy of Shorewest Realtors, Inc. 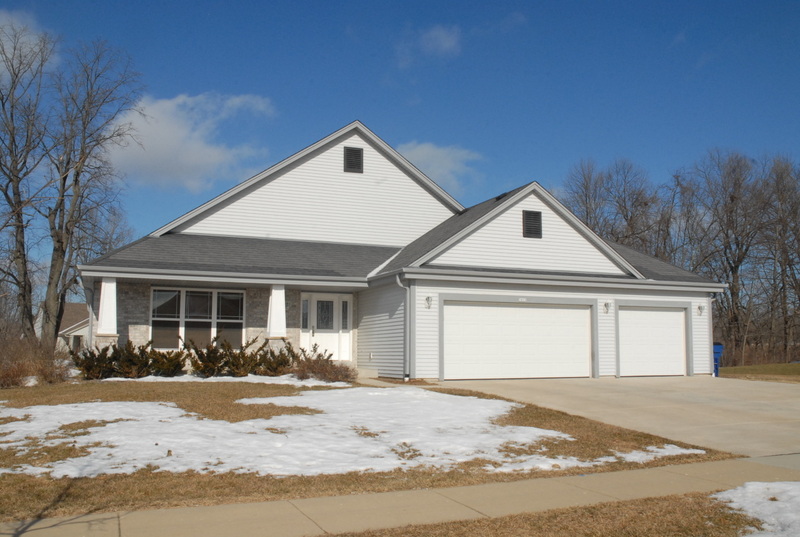 Attractive and ready to move in Oak Creek Ranch built in 2010! Bright and sunny living room with large windows and southern exposure. Chef's kitchen with loads of cabinets, breakfast bar, stainless steel appliances and patio doors to outside patio. Huge Master bedroom suite with private bath and walk in closet. Spacious main floor laundry room. Six panel doors throughout. Open staircase to lower level. Plenty of closets and storage. Huge basement with poured concrete walls ready for future rec room! Three car attached garage! Great location with fantastic curb appeal on almost .4 acre lot. Appliances included.